Wellington, Fla. - Jan. 18, 2017 - Gallagher/Meller Sport Horses is thrilled to announce the arrival of three horses from their European partners, E2 Show Jumpers, to the United States. Founded by Katherine Gallagher and Michael Meller, Gallagher/Meller Sport Horses is dedicated to bringing along young horses to the highest levels in the sport of show jumping. The team is looking forward to watching the progression of these special horses, Caius, Camillo VDL, and Very Chic Du Tillard, throughout the 2018 Winter Equestrian Festival (WEF) in Wellington, Florida with rider Peter Lutz. 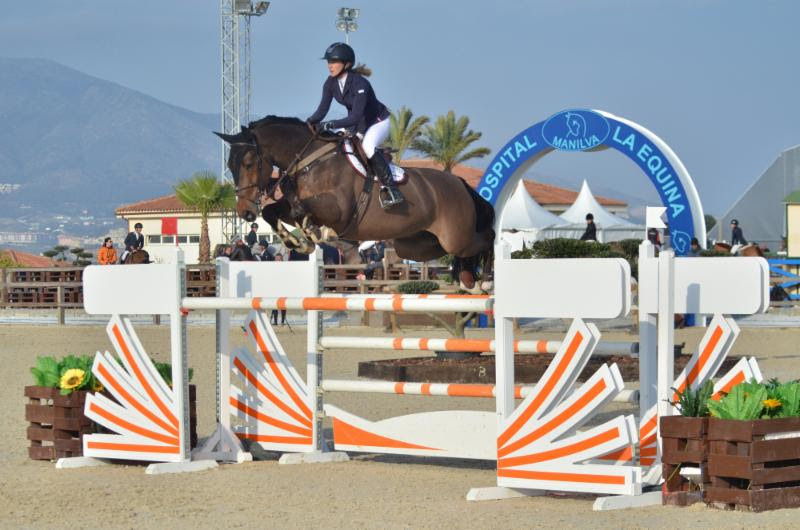 Caius, a 2004 Holsteiner gelding by Caretino out of My Lady VII, has been competitive in the 1.40m and 1.50m divisions in Spain with Irish rider, Dan Walsh, as well as with Great Britain's Stacy Babes in prior years at WEF. Most recently, he was third in the Omagh Show National Grand Prix. Camillo VDL is a 2007 Dutch Warmblood by Douglas out of Winett M. The talented chestnut stallion has competed in the 1.45m Open Jumpers and has showed at the 2* and 3* levels. He was third at the CSI2* Mullingar Grand Prix in Ireland with Babes. The third horse to round out the group, Very Chic Du Tillard, is a 2009 Selle Francais by Diamant De Semilly out of Jumping Queen 3. The bay gelding showed his athleticism and scope in the 1.40m division in both Ireland and Spain.